Personal Guarantee Insurance (PGI) provides insurance for individuals (usually Directors) who have given a Personal Guarantee to a lender in respect of the borrowings of the Limited Company. The insurance policy indemnifies the individual (Director) in the event that the Limited Company becomes insolvent and the personal guarantee is called upon by the lender (usually where the Limited Company is unable to pay back its borrowings). The annual premium is calculated based on the applicant circumstances and the individual requirements of the applicant. Successful applicants will have a choice to pay the premium upfront in full or via a monthly direct debit instalment facility. 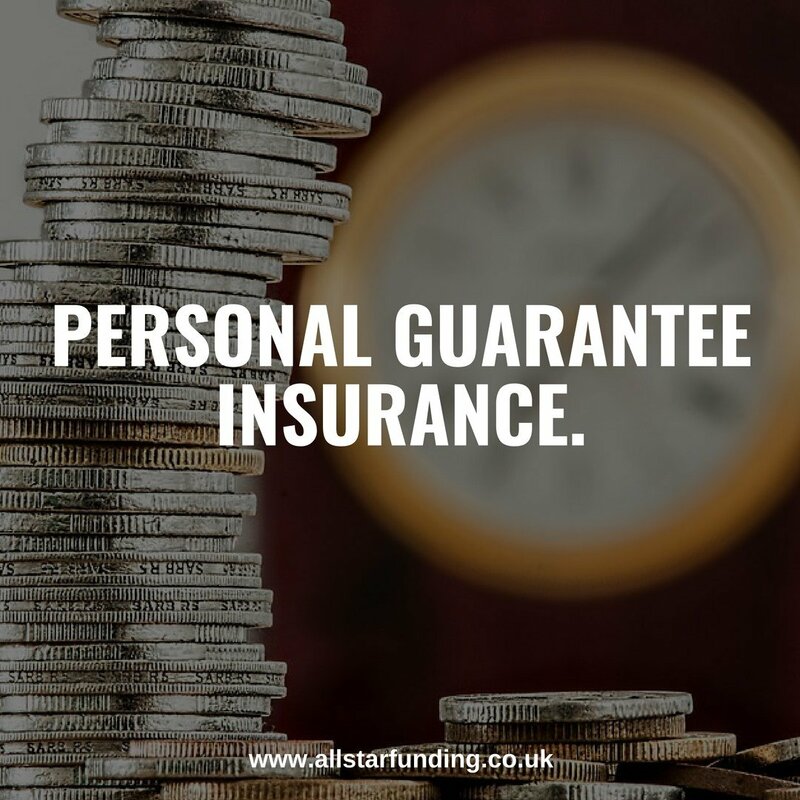 All Star Funding Solutions have partnered with Purbeck Insurance Services, a trading name of Purbeck UK Limited who exclusively offer Personal Guarantee Insurance (PGI) on behalf of Markel International, an A-Rated Fortune 500 insurance company. Please be aware that All Star Funding are unable to offer advice on this product. By clicking the link above you will be transferred to the website of Purbeck Insurance Services.